Mere Enchantment and Rings of Enchantment are Alicia Rivoli‘s Enchantment series books that have one epic adventure flowing through them as though they are a Part One and Part Two. Part Two continues the story beautifully. Personally, I couldn’t read one book without the other and therefore would recommend to any reader to obtain both copies. Aside from not feeling myself, this was also another reason for my belated review, as I had to read the sequel as soon as I finished Mere Enchantment! 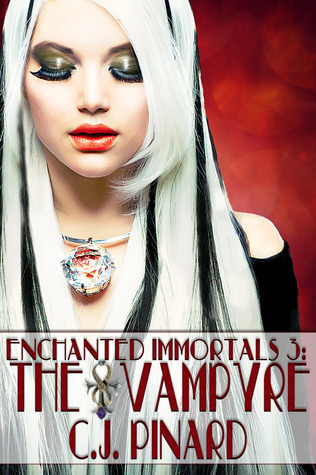 The Enchantment series takes you into another world. 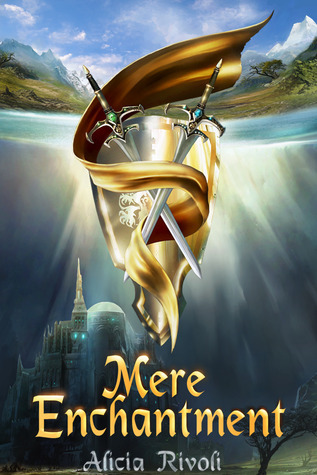 The world of Mere. Under attack from the dark traitor, Jacan, and his army of Umbra, the Kingdom of Mere is struggling to survive. Jacan and his army have already taken over the city of Nebula and if nobody stops him, Jacan will strive to take over the whole Kingdom! It is therefore up to the five main characters, Preston, Chloe, Jason, Megan and Zach to prevent Jacan with the use of magic and their new-founded abilities in Mere to defeat Jacan and his army. Mere Enchantment (Book 1) begins with Preston living in a cabin with his parents overlooking Mirror Lake. When Preston’s parents rent out their second cabin, across the other side of the lake, to two families, each with two teenagers, Chloe, Jason, Megan and Zach, Preston seems happy to have kids of a similar age visit. He quickly builds up a bond with them, in particular Chloe. Preston takes them to a cave nearby and little do they realise at the time that this cave is where the magic really begins for them! There were a couple of instances in the very beginning that made me question why Preston’s parents treated him like a younger child, when he was an older teenager. I couldn’t quite connect to all of the characters, especially Preston’s parents, as I didn’t understand their behaviour. However, as this magical epic tale unfolds this question was answered very clearly, especially once the main characters entered the cave! One example of this is Preston’s father reading him what appears to be bedtime stories and yet, once he is in the Kingdom of Mere, Preston realises that those stories are most likely to be true and his father had been preparing him for his new journey to help the Kingdom of Mere as his new-found self, along with his magic and friends. When they first enter the Kingdom of Mere they notice changes with one another, such as changes of appearance, age, clothes and later their powers. It is great how they all have these underlying magical abilities but it is only through entering the cave/kingdom that these skills naturally blossom. I particularly like the way in which they discover their powers in an instinctive manner as opposed to having be taught them through magic. The characters adapt to their new surroundings very quickly and, with the help of some wizards, they soon become aware of what they need to do save the Kingdom of Mere! The group find themselves separated once they arrive in Mere, as Preston is with Megan and Zach, and Chloe is with her brother, Jason. I become a little lost when main characters are separated as I like to keep everyone together, however it adds the tension as the reader constantly pushes for them to reunite. But with Jacan and the Umbra taking over, controling the weather and using shadows for cover it becomes quite eventful. War is taking place and it doesn’t seem to be too long before Jacan will completely take over the Kingdom of Mere. 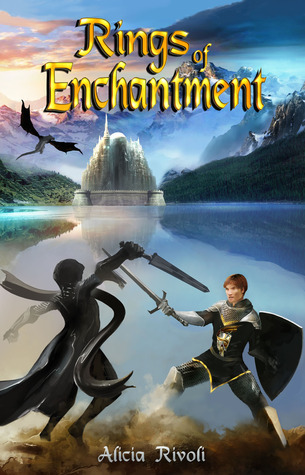 In Rings of Enchantment (Book 2) I found the story to be slightly more action-packed as by now the reader is familiar with the characters, some of their abilities and the Kingdom of Mere. I also found the sequel to be a quicker read, with more dialogue and more magic being used and more involvement with the dragons. Jacan and his army are really beginning to close in on Mere, destroying the underwater kingdom of Rill and using everything he possibly can to win the Kingdom for himself. This sequel is darker and most certainly more intense. Towards the end I found myself tensing as Alicia Rivoli leaves the reader on tenterhooks between chapters as she visits the different characters and picks up their story from a chapter or two before! This definitely teases the reader and makes you feel like you have to know more, encouraging the reader to quicken their speed, along with the action of the book! I also found the glossary in Book 2 to be useful as the reader follows so many different characters in different cities and, as the main characters are slightly different people in Mere than they are in Oklahoma, it was nice to be able to check up on the characters and places once I finished. I really enjoyed reading this fun series and I would recommend it for readers of the age 8 years and over. Kids would absolutely love the magic, the dragons, princes and princesses in secret kingdoms, the wizards and the whole adventure. Not forgetting the main plot to save the Kingdom from this terrible, dark traitor! There are cities in the sky/clouds and underwater. I actually had my own daughter (age 8) read a chapter as she had forgotten to bring home her school book. I was delighted when she read a whole chapter really well and was able to tell me afterwards what had happened. Even though I had her read from the middle of the sequel she was still able to tell me in her own words what had happened and what type of characters she had been reading about! My hat goes off to Alicia Rivoli for writing a fantastic modern-day magical, fun and adventurous fairytale! It is clear to the reader that the author has spent a great deal of time creating the wonderful world of Mere, as well as beautiful characters with princes, princesses, wizards, dragons, merpeople and an army of darkness with a traitor as their leader. At the same time as being in a strange, magical land with dragons and wizards and trying to learn their own abilities, Preston, Chloe, Jason, Megan and Zach fight to be reunited again and to free the Kingdom of Mere! I received both books from the author, Alicia Rivoli in return for an honest and fair review. 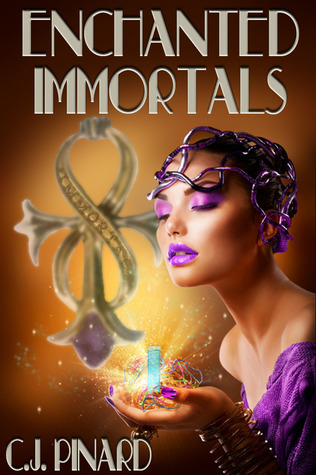 Please check out Alicia’s author post for A Reader’s Review Blog, along with her blog and Facebook page below. 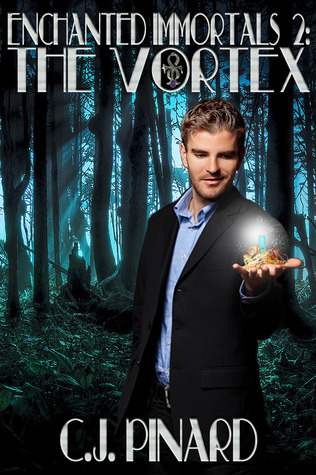 There is a fantastic trailer on Alicia’s BlogSpot that really catches the eye and adds great visuals for her Enchantment series.